Definition at line 118 of file BitcodeReader.h. Definition at line 119 of file BitcodeReader.h. 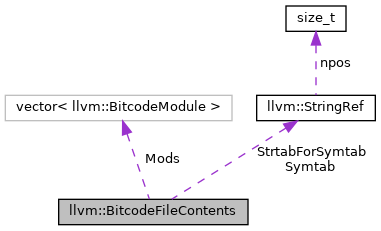 Referenced by llvm::getBitcodeFileContents(), and llvm::irsymtab::readBitcode(). Definition at line 120 of file BitcodeReader.h.